For the citizens of the state that has the biggest impact on Prius sales, it’s understandable that Toyota might be offering its biggest perks there. With the next-generation version of the world’s most popular hybrid not likely to see the light of day until the 2016 model year, the Japanese automaker is looking to spur sales as a stopgap measure. And that’s especially true for the Prius C compact and the Prius Plug-in Hybrid. Toyota has bumped incentives for potential Southern California buyers of the Prius C to about $2,000 off the MSRP, which is up from $750 and about the same size of the perk given to prospective Prius Plug-in buyers, according to numbers from CarsDirect. For the standard Prius Liftback and the Prius V wagon, Toyota increased its discounts by about $500. The perks went into effect April 1 and will last until May 4. 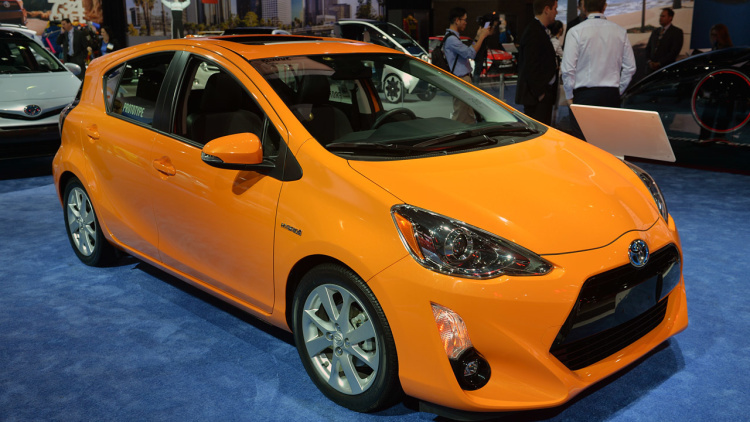 Toyota spokeswoman Amanda Rice confirmed to AutoblogGreen that the $2,000 incentive for the Prius C is specifically for the 2014 model year, and that the 2015 model year spurs a $750 incentive. She also confirmed that Toyota this month increased standard Prius lift back cash-back offer to $1,750 from $1,250, though amount offered can change by region. The Prius family was California’s most popular passenger vehicle in 2012 and 2013, but sales since then have fallen off. Through the first quarter, US Prius sales were down 14 percent from a year earlier after falling 11 percent last year to about 207,000 units. A Toyota representative didn’t immediately respond to a request for comment from AutoblogGreen on the increased incentives in the face of reduced sales.